Ministry of Home Affairs through CRPF decided to establish an ambitious project to cater for the need of offering training to the policeman to meet the challenges in respect of disaster and such eventualities which we keep encountering quite often. The centre thus was conceived with a view to offering multi-disciplinary training facilities, residential accommodation for type officers, trainees and recruits besides family accommodation of all types. 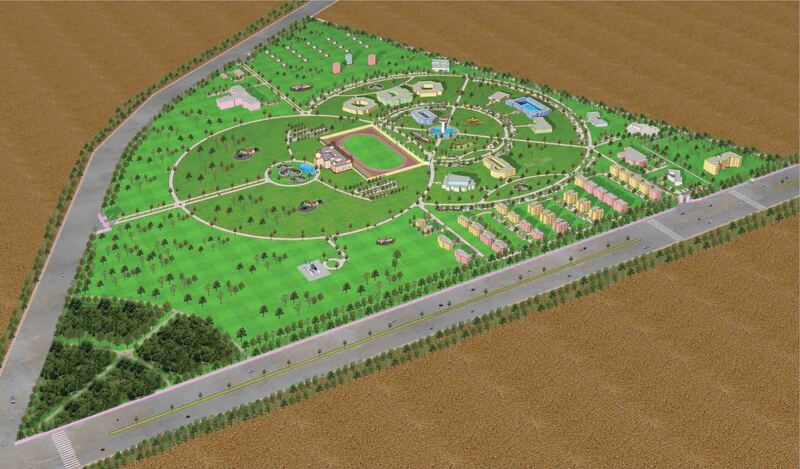 The campus layout evokes interest through a special geometrical pattern of roads and other activity zones.